The Marshal Papworth Fund helps educate agricultural and horticultural students from developing countries by offering the Marshal Papworth Scholarships for Students from Developing Countries. Scholarships will be available on the basis of academic excellence. The Marshal Papworth Scholarships are for applicants studying or working in natural resource based projects (agriculturalist, horticulturalist or more general courses like Project Management and Economic Development) applying for a place in any of the participating institutions. Opportunities for students from developing countries to gain agricultural and horticultural skills needed to achieve a sustainable future for themselves and their communities are provided through two scholarship programmes: a). Masters programme – A one year’s Masters Degree in agriculture or horticulture at a UK-based university; AND b). Marshal Papworth 10-week short course - A 10-week practical and experiential course to empower change makers in rural communities. Scholarships are for international students from developing countries. Scholarships are funded for one-year postgraduate UK-based MSc and MA courses. As an agricultural charity Marshal Papworth favours land-based postgraduate courses, including Sustainable Development, Waste Management and International Horticulture. However, it also considers more general courses such as Project Management and Economic Development. Applications for the Masters scholarships are made directly to one of the partner universities or colleges. For a list of these institutions, please see below. This course has been designed specifically for students who can demonstrate a strong hands-on commitment to their community and its agricultural development. Potential candidates for this course include innovative farmers, community project leaders or primary school teachers with a keen interest in local agriculture, who are motivated in becoming change makers within their communities. Applications for the Demonstration Farmer course can be made via the official website (link to it is below). Citizens of ALL developing countries. Please see the full list of countries here. The Fund favours agricultural and horticultural land-based Masters courses. However, it also considers more general courses such as Project Management and Economic Development. The Short Course is a practical and experiential demonstration course. The Masters Scholarship varies, from £12,000 to £17,000, as determined by the Marshal Papworth committee. The short course scholarship includes Course fees, Visa assistance, Flights to and from the UK and transport to and from Heathrow airport, Accommodation, Meals, Allowance to cover food costs for self-catering at weekends, and A schedule of cultural visits. You cannot apply directly to the Marshal Papworth Fund for the Masters programme. Prospective Masters scholarship students should contact one of the participating universities/colleges directly and apply for a suitable course. Once accepted onto a course the university/college will select candidates they believe are eligible for a Marshal Papworth Scholarship and will forward the students application and CV to the Marshal Papworth Fund directly for consideration. Students who will be considered for a Marshal Papworth scholarship will not have received any other form of scholarship funding prior to this application. It is important to read the FAQs, and also to visit the official website (link to it is below) for complete information on this award and also on how to apply. Applications for scholarships must be received from partnering universities/colleges no later than the end of the second week of April, or the last day before the Easter break, whichever is the former. This is to ensure that the students who are awarded a scholarship have ample time to arrange Visas and travel arrangements before the start of their course in the autumn. Thus, the earlier you contact your chosen university, the better. Usually this should be before mid March each year. Successful applicants will be contacted by the admissions department. 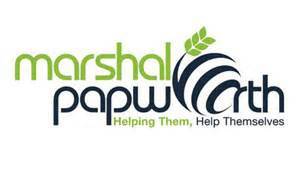 Marshal Papworth is a charitable Fund formed in 2001 from funds bequeathed from Marshal Papworth, an east Anglian farmer. It is wholly managed by the East of England Agricultural Society. Through its scholarship programmes the Fund develops life changing, land-based skills, enabling students, from developing countries to facilitate sustainable farming within their own communities.